1. With combined wireless speeds of up to 2.4GHz 300Mbps and 5GHz 433Mbps, provides excellent speeds and superior omnidirectional wireless range. You can run multiple applications in a large home or office. 2. 3 external antennas provide better performance and stable connection. Also, convenient dual band operation lets you simultaneously enjoy lag-free HD video streaming, online gaming, emailing, and web browsing. 3. Far-reaching wireless coverage, Wireless-AC technology eliminates dead spots in your home and outdoors and brings high-speed WiFi. Simultaneous gaming and HD streaming with AC750 dual band speeds. 4. 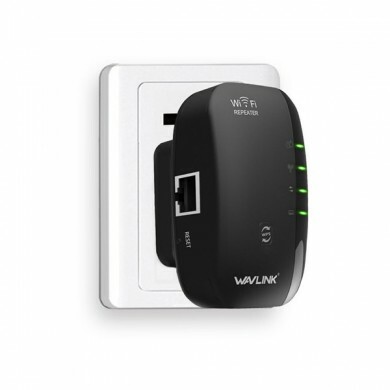 Plug and Play, with no new wires or cables within range of their existing wireless network, you can easily extend wireless coverage at a push of the WPS button on their router followed by the range extender button on the WN575A2 or vice versa. An additional push of the pair button can quickly establish an encryption with client devices. 3. Wireless router-Create an instant private wireless network and share Internet to multiple WiFi device, which is suitable for most hotel and network. 5. Easy setup- Easy to install for iPad, tablets, smart phones and computers. 7. WPS quick setup button - One key, easy and quick setup with the WPS encryption button. 8. Function selection button - Multi-function operating selection, bringing you the special networking situation. 9. 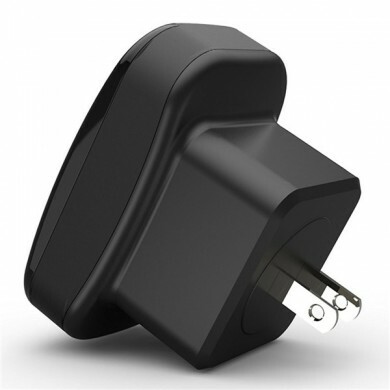 LED indicator - Sharing the working conditions of device at any time. 10. Wireless bridge-Connect a wired device to WiFi using the available RJ-45 Ethernet port.